I received an email from MyHeritage telling me that there were new record matches waiting for me to review. One of them caught my eye. It was a record match for my 1st cousin 3 times removed. Her name is Hulda Sofia Carlsson and she was born in Lista, Sodermanland, Sweden on 18 May 1883. I noticed in this record that a son named Frans Gustaf was listed in the family as well. He's listed on line 8 and his name is crossed out. 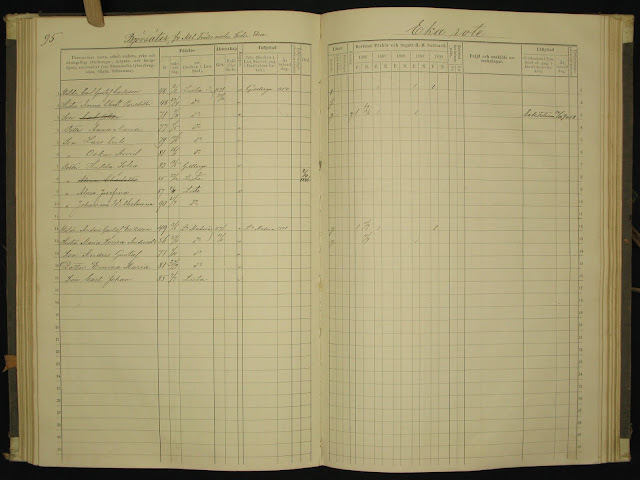 His death date is at the end of line 8 in the red box below. Frans was previously unknown to me. I didn't have him in my Legacy database. 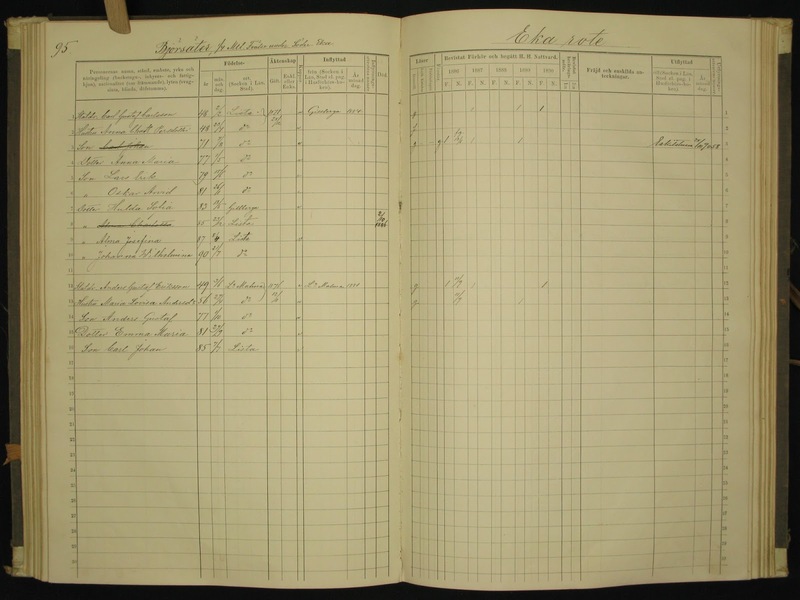 It turned out that FamilySearch did have him in their database, but didn't have any parents listed for him. I was able to attach him to his parents in FamilySearch and I added him to my database as well. Little Frans Gustaf has been waiting a very long time to be found. He was only 5 months old when he passed away on 19 February 1885. He was born on 9 September 1884 in Gillberga, Sodermanland, Sweden. I'm so grateful I was able to find him. 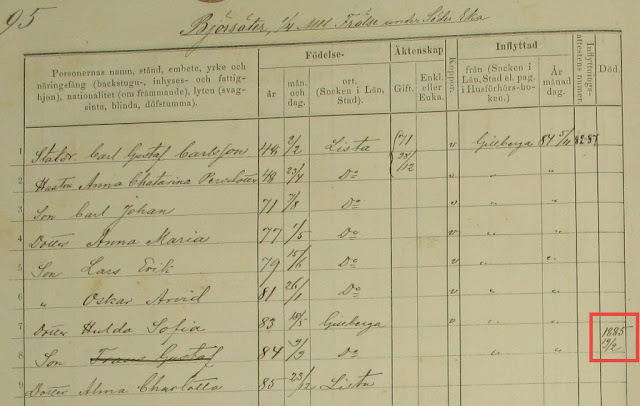 Through further searching in the Sweden Household Examination Books for the family of my 2nd great-granduncle and aunt, Carl Gustaf Carlsson and Anna Katarina Persdotter, I was able to find another previously unknown to me daughter. I will share information about her in a future post. Hurray! So exciting! I don't have a tree on MyHeritage, but this makes me think I need to do it. So many things to do and so little time!